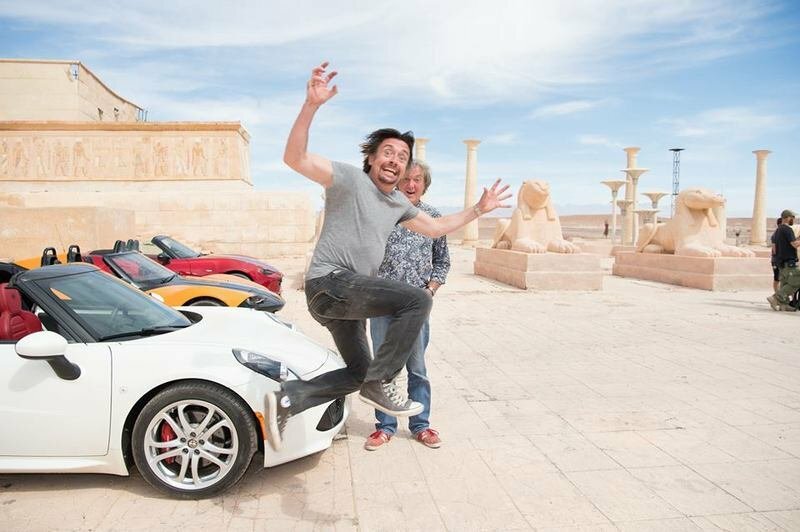 While Matt LeBlanc and the remaining hosts of new Top Gear take a little breather post Episode 6, we thought it would be a good idea to turn our attention to that other motoring show everyone seems to be talking about – The Grand Tour, a.k.a., TGT. Ever since Clarkson and company split with the BBC and announced they’d be making their own program, fans have been clamoring for details, and in response, the Three Amigos have dropped a few tidbits here and there to keep us engaged. We collected the pieces, put them in a row, and prepped them for consumption right here. All in all, it looks quite promising. Amazon is plunking down a lot of money to secure all those wandering devotees of old Top Gear, and if everything goes according to plan, TGT should draw in even more converts from the general gearhead population. So what can you expect? 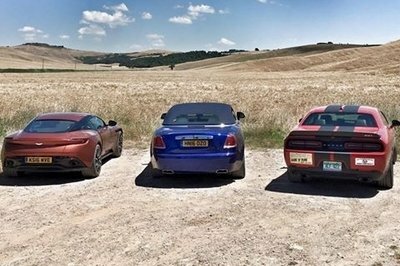 Read on for everything you need to know about The Grand Tour. Continue reading to learn more about The Grand Tour. TGT will be exclusive to Amazon Prime Video, the online retail giant’s subscription-based entertainment service. Amazon Prime Video offers unlimited movie and TV show streaming through a variety of devices, and comes as a benefit of Amazon Prime membership. If you’re not interested in becoming an Amazon Prime member, and only want access to the video streaming, you can sign up as an Amazon Prime Video member for $8.99 a month (there’s also a free trial period if you want to try it before you buy it). Will It Be Like Old Top Gear? Well, it’s got Clarkson, Hammond, and May driving around and being juvenile, so… yes, in that respect, absolutely. It’s also got longtime Clarkson friend and former Top Gear producer Andy Wilman behind the scenes, so in a nutshell, the old TG style and humor is expected to carryover pretty much unchanged. Will There Will Be Some Sliding About? While there will be plenty of those pre-recorded location shoots that we know and love, the live audience stuff will be different. Unlike old Top Gear, there won’t be one set studio location for the live audience segments. Rather, Clarkson revealed on Twitter that TGT will travel to a new location each week, pitch a tent, and invite fans to come watch the verbal abuse in person. Can I Go Watch A Live Taping? Yes you can, just so long as you can secure a ticket. TGT’s first destination will be Johannesburg, South Africa. Filming is scheduled to commence July 17 at 10:30 AM. You must at least 18 years old to attend. Click here to register. Tickets are free, but requests are picked at random and the tent capacity is capped at 250, so cross your fingers. If you live in the U.S. or the U.K., you can enter to win tickets in The Grand Tour Prime Day Prize Draw. Contest winners will also get some spending cash, a chance to meet Clarkson, Hammond and May, and all the necessary travel and accommodations covered. To enter, click here if you live in the U.S., or here if you live in the U.K. The contest ends July 12. The exact time and dates for filming in the U.S. and U.K. have yet to be announced, but odds are the U.K. filming will be in Yorkshire (per a Clarkson tweet), while the U.S. filming will be in California. Germany has also been tapped for a live audience segment, but details are still forthcoming. So How Much Content Are We Talking About? When it finally launches, TGT will post episodes weekly. Each episode will be roughly an hour in length. The hosts have agreed to do three seasons at 12 episodes per season, making for 36 episodes spread out over three years. Will I Be Able To See The Individual Pores In Jeremy Clarkson’s Face? TGT will be shot in 4K ultra-high definition, so assuming you got the right rig, yes, yes you will. Weirdo. Where Is The Grand Tour, uh, Touring? So far, TGT looks like it’s gonna live up to the title. Locales for the pre-recorded segments have included the Caribbean, France, Germany, Italy, Jordan, Morocco, Namibia, Portugal, the U.K., and the U.S.
What Cars Should I Expect To See? They’re Just Doing The Show, Then? Like TGT, DriveTribe will launch sometime this fall. “Tribe Leaders” (folks with a talent for writing, shooting, and filming cars) are currently being recruited here.